In the advice column Annie’s Mailbox by Kathy Mitchell and Marcy Sugar, there has recently been a series of letters from the parents of adult children who have cut them out of their lives. The parents complain that they have absolutely no idea and do not understand why this has happened, and they seem to indicate that they had been just model parents or, at worst, guilty of some very minor parental transgressions. Lately, a couple of other letter writers opined that just perhaps the parental behavior was a lot more problematic than these folks would have the world believe. For the most part, whenever I delve into the family dynamics of those patients who either cut off parents or have been cut off like this, that is certainly always the case. In reading the letters from the parents who just cannot seem to figure out why their children have cut them off, a question arises. Are they really that clueless? Are they “in denial?” - whatever that means? To me, “denial” of reality is just – how should I put this? – lying. In fact, when such parents are in the process of portraying themselves as the innocent victims of mean-spirited, unreasonable adult children, they are in fact, pushing their adult children even further away. They are, in a sense, invalidating their adult children’s sense of reality about what transpires in their relationships. In doing so, they are literally being hateful. This of course further infuriates the adult children. This illustrates one subtle form of distancing behavior. The last letter in the following series illustrates the adult child's anger about this issue better than I ever could. (How such situations might be repaired is described by the letter writer of 4/5/14). 10/8/13. Dear Annie: When our daughter was a child, she had emotional issues and extensive anger management problems. With tremendous concern and love, we got her professional support and therapy, and ultimately, our daughter learned the skills to control herself. What we did not do was tell extended family members of these private problems. We had seen their extreme intolerance for any kind of mental health issues and did not want our daughter to suffer prejudice from her own family. In college, the troubling incidents started again. Because of our daughter's refusal to let us have access to her medical information, we had no real idea of what was happening. The next few years included troubling breakups with both friends and boyfriends, extreme weight loss and talk of suicide. Dear Reading: Most likely, the only thing that will change their perspective is to be on the receiving end of your daughter's erratic behavior. Despite all the therapy she had when younger, her problems haven't disappeared. She has simply chosen to deal with them in her own way, which currently precludes a loving relationship with you. We hope that will change. While you cannot control what the relatives think, please take comfort in knowing you handled your daughter's issues in a way that protected and helped her. That is what good parents do. Dear Joining: Your letter is heartbreaking. When children are brought up by loving parents, we don't know why some remain close and others do not. The same fire that melts butter will forge steel. If you have any family members who are in touch with your children, perhaps they could help you understand what is going on and even intercede on your behalf. In the meantime, you are wise to accept what you cannot change and compassionate to forgive those who have hurt you. Dear Tears: We are so sorry that your son has chosen to cut off contact, but you cannot force him to stay in touch. Are you in touch with the girlfriend? Is she a reliable partner, or might she be abusive? Even so, he is an adult, and you can only do so much without his cooperation. In the meantime, please consider counseling. You are grieving and worried, and you need to move forward so your son's absence doesn't become the focus of your daily life. It will not be easy. But we recommend that you keep sending your son emails and cards, just saying that you love him and that you will always be available should he decide to contact you. We hope he will. Soon. 4/5/14. Dear Annie: Thanks for printing the letter from "Joining the Letting Go Club," who feel rejected by their grown children. One part of the letter got my attention — the part where they say they've had "minor disagreements" at times, but nothing so major as to cut off contact. I have had this same situation with my family, and honestly, sometimes the disagreements aren't as minor as the folks believe. Dear No: How heartwarming that you took that first step — not only for your sake, but for that of your children. 2/28/14. Dear Annie: I have followed the many outraged responses regarding adult children who have cut elderly parents out of their lives, so let me give another view. My mother is 86 and possessed of her faculties. She can live alone and unassisted. Both of my sisters cut her out of their lives years ago. Why? Because Mom has a cruel mouth and is bigoted, gratuitously insulting, highly opinionated and very vocal about what she thinks of you and everyone else. Mom complained that she has been shunned because of her age, and I told her it is because she is unpleasant and impossible, and that she should get counseling. She responded with a well-chosen two-word obscenity. So I'm done. 5/10/14. Dear Annie: I feel sure that, were she to pick up pen and paper, my mother would be among those parents wailing over their "heartless" children's "abandoning" them. My mother would say that she was a loving, wonderful parent, and I'm sure she believes it. Annie, this is a woman who told me every day that she wished she'd aborted me. When I was very little, she helpfully explained the term so I would know exactly what she meant. Very rarely are abusive parents capable of comprehending that they are, in fact, abusive. There is no child on Earth who wants to not have parents. If your kids have cut you out of their lives, there is a reason, and that reason is YOU. — S.
At the annual meeting of the American Psychiatric Association in New York this year, I learned about a new finding from one study with patients who exhibit borderline personality disorder (BPD). The same finding also applied, although to a lesser degree, to those with avoidant personality disorder (AVD), which is pretty much identical to the diagnosis of Social Phobia. I suspect that the reasons for the similar findings may be different for the two disorders. The finding involved a part of the brain called the Amygdala. This little doohickey is central to a lot of brain functions, but in particular, it is the center for the body’s “fight or flight” response. I always though it fascinating that the amygdala also has specific cells which respond only to one’s own mother (or other primary female attachment figure) and nothing and nobody else, and other specific cells which respond only to one’s father (or other primary male attachment figure). Although one cannot prove such things, this fact suggests to me that primary attachment figures may be the most potent of all of the environmental triggers to fear-based flight or fight reactions. They are certainly more powerful that a therapist can ever be for doing so, for instance. The finding may relate to one of the primary symptoms of BPD, which goes by a variety of names. In the actual DSM criteria, it is described as “affective instability, or marked reactivity of mood (e.g., intense episodic dysphoria, irritability, or anxiety usually lasting a few hours and only rarely more than a few days. )” It is also called high reactivity, and lay people often label it hypersensistivity. In psychological tests, it is called neuroticism. Clearly, amygdala activation is intrinsic to this phenomenon. Therapists have a tendency to think that patients with BPD over-react because they misperceive the behavior of others as being emotional slights, when the behavior is not at all meant as such. In fact, these therapists do not even know to what exactly the patient may be reacting to, or alternatively, that sometimes patients with BPD feign such reactions in order to provoke a specific response in others in order to recruit them to be enablers of the patients’ spoiler role. For example, one patient would go ballistic if anyone ever even implied that her mother might have been a loving parent. Of course, if one knew all the horrible things her mother had done to her, one could easily see why she would find such a comment annoying - to say the least! The study I am discussing here is by Harold Koenigsberg and others (Journal of the American Psychiatric Association 171:82-90, January 2014). Study participants were asked to look at a series of pictures with either highly negative or neutral content, and the activation of the amygdala and another region of the brain called the dorsal anterior cingulate was measured using a specific type of brain scan. The subjects also subjectively rated their emotional responses to the pictures. Exposure to these pictures and these measurements were then repeated. Repeated only once, I’m afraid. The study would have been a lot more powerful if they had repeated the exposure several times. The changes in emotional arousal and brain activation after a repeat viewing of the negative images was small but signficantly different between patients with BPD or AVD and the "normal" control subjects. The brains of the controls seemed to habituate, while those of the patients with BPD did not. Habituation means that the controls got used to or became accustomed to the awful pictures, and their arousal levels decreased from what it had been after the initial viewing. If anything, the emotional arousal of patients with BPD actually increased with the repeat viewing. This finding, if it can be replicated, might seem to indicate that the brains of those with BPD are abnormal in this regard. However, as I have ranted in the past, a difference is not automatically indicative of an abnormality. In fact, it may be a conditioned response that is highly adaptive in particular environments. 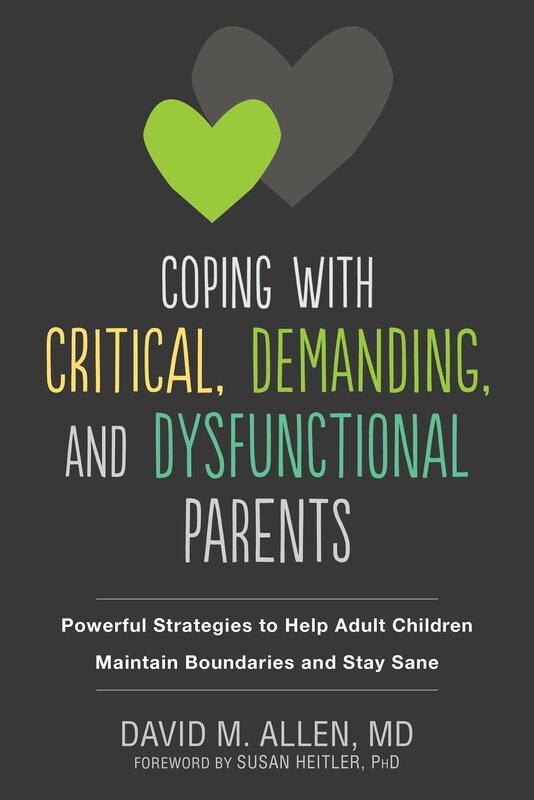 In the case of patients with BPD in particular, they invariable grow up in chaotic family environments in which “getting used” to the chaos and not reacting to it when one needs to could be hazaradous to their and their family’s health, as described in my post on Error Management Theory. If the chaos continues, such individuals need to pay even more attention to it, not less. This new research finding fits my ideas about that to a tee. Are Scientists More Objective and Rational than the Rest of Us? 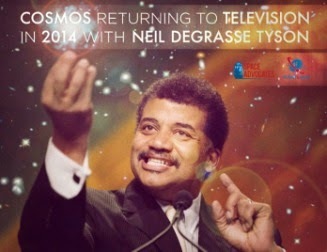 In watching the new version of Carl Sagan’s Cosmos on TV, it was interesting to hear host and astrophysicist Neil deGrasse Tyson wax eloquently how science is based almost entirely on empirical evidence – seemingly unbiased observation and clear experiments – as opposed to the ideas of the majority of the people who are under the sway of religious dogma and mythology as well as other forms of groupthink. But then the show began to give hints that scientists could be every bit as biased as anyone else. There was the bit about Robert Hooke trying to take credit for some of Isaac Newton's work. 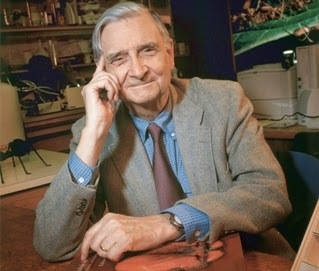 And then there was the story about Robert Kehoe, a respected scientist who became an oil industry lackey who pushed the idea that lead in gasoline was not dangerously polluting the environment and was not being found in increasing concentrations everywhere. 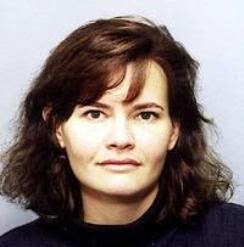 It took the stubborn persistence of another scientist, Clare Patterson, to get the truth out. When I was a kid, I wanted to be a scientist, and I idealized scientists as having the very qualities Dr. Tyson seemed to first imply that they had. Of course, that was long before I entered academia. I had heard about how cutthroat and vicious academic politics could be. I should have asked myself why that was. I didn’t think of scientists in terms of outsized egos, outsized greed, biased experimental designs that were being used to guarantee the results of an experiment before it was even done, the shunning of those with data that seemed to contradict conventional wisdom - with scientists finding ways to prevent such folks from getting their data published in “respectable” journals through the misuse of the peer review process, or by preventing them from getting funding for further research - the use of propaganda and marketing techniques to disseminate pseudo-scientific “facts,” and the powerful effects of political correctness gone amok on what scientists can and cannot say or propose to study. How stupid could I have been to idealize these folks as somehow above all that? When I finally made it to academia, I got to witness all that up close and personal. But it was even worse that I thought. 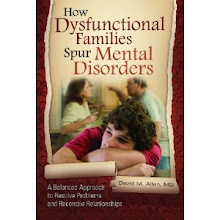 When I started doing research for my last book, How Dysfunctional Families Spur Mental Disorders, I was totally shocked by how far all this went. Many of the issues involved have been the subjects of previous posts on this blog. 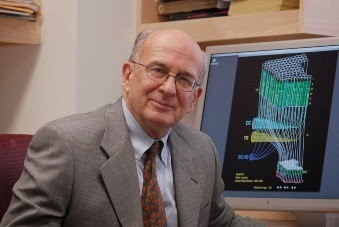 I came across an article by Michael Specter in the New Yorker about how one prominent scientist, Pasko Rakic, had set the field of neurobiology back a full decade by refusing to believe a lot of data coming out that disproved the prevailing idea that sophisticated animals – and certainly humans – are born with essentially every brain cell they will ever have, and that no new neurons develop during adulthood. Scientists who found this data were ignored, and some had to leave the field in frustration. It took the persistence of a willful female scientist named Elizabeth Gould to break through this scientific version of stonewalling. The whole subject of scientific groupthink and misbehavior will be covered in a book I recently became involved with as a co-editor – the sequel to the book Pathological Altruism. (It probably will not be out for a couple of years). One of the most egregious examples of political correctness stymieing science is at the heart of my understanding of self sacrifice in dysfunctional families: the work of E.O. Wilson on sociobiology and kin selection. I had once had a conversation with an evolutionary biologist who told me that only about 20% of evolutionary biologists believed in kin selection, but he strongly implied (without actually saying so) that this was due more to politics that to the science. OK. So because a scientific idea might conceivably be misused in the service of some fascist’s political agenda, we cannot talk about it?!? 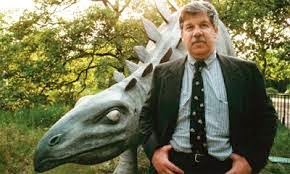 And one of my previous heroes, Stephen J. Gould, signed on to this? How ironic that ideological groupthink, which is itself a manifestation of the biological force of kin selection, is being used to intimidate those who would study kin selection. Such objectivity. Such empiricism. Rational scientists who deal with nothing but actual evidence? I’m sure glad that there are at least a few of them still out there. On my Psychology Today blog on June 22, 2011, I re-posted an entry about the huge increase in the number of grandparents raising their grandchildren since 1990, a trend which is continuing. Some of this is due to economic factors and military deployments, but in many cases, the “missing” parental generation consists of deadbeat parents who are addicts or alcoholics, those who exhibit signs of borderline personality disorder (BPD), or antisocial types who end up in jail. 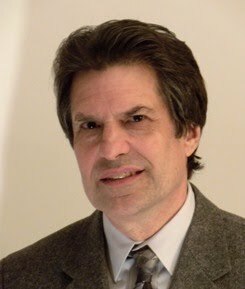 I discussed how, in my opinion, the grandchildren are being – covertly - given up to the grandparents as “gifts,” since the grandparents seem to exhibit a pathological need to continue to take care of children – even as they complain bitterly about how much they dislike having to do so. A completely different pattern of relationships between grandchildren and grandparents that I have been seeing more and more lately is the subject of today’s post: Parents who had been neglectful, abusive, generally unloving, or distancing towards their own children when those children were growing up seem to have a personality transplant when those children themselves have kids. They begin to dote on the grandchildren. They are warm and generous to them and have a very close and loving relationship with them. They tell them how much they love them, buy them things, and take them to various fun activities on weekends. In return, their grandchildren adore them, and usually think that their own parents must have been treated similarly when growing up by these wonderful, upstanding people. If the parents tell them differently, they may find it extremely hard if not impossible to believe. Such grandparents are giving the grandchildren everything that they did not give to their own children when their children were growing up. Imagine for a moment that you are the parent in the middle generation. Can you imagine how this would feel? On one hand, you know that you should be happy that your parents have apparently reformed their ways, and that your own children are getting from them all the things that you missed. On the other hand, however, your kids are getting from your parents everything that you wished you had received from them. You probably do not want to appear to be jealous of your own children, but why didn't you get that? What are you? The proverbial chopped liver? These contradictory feelings really can do a number on your head. Was it all your fault that you were treated badly? What have your kids got that you don’t? When patients in this predicament challenge their parents on this issue, the parents tend to get defensive or deny that there has been any sort of double standard at all. One such grandparent recently replied, "You already knew I love you! Why should I have had to tell you that?" So what might be happening here? My theory would predict that, as the grandparents are getting older, they are mellowing out, as people with personality disorders often (but hardly always) do. Their own parents are often dying off as well, and are no longer feeding into their destructive behavior. So they start to have the relationship with their grandchildren that they might have preferred, had the family dynamics been different, to have had with their own kids. If and when their children confront them on the change, they go into attack or denial mode because down deep they feel horribly guilty and ashamed about their own behavior when their children were growing up. In fact, they are indirectly trying to atone for their sins with the grandkids. However, because they are guilty and ashamed of how they treated their own kids, they can’t face them, and push them away, similarly to the way other parents push their children away described in my post, Hatefulness as a Gift of Love.